Our unexpected out of the country rambling for free! How about that? 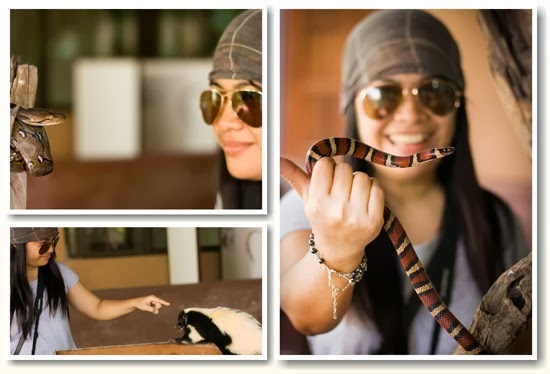 I wanted to explore Kota Kinabalu October last year, but we stayed for only 20 hours. Only had time to meet a family friend and catch a flight the following day to Singapore. It was a short visit and wasn't able to fully experience or just a short glimpse of the city before heading to Singapore. I know Kota Kinabalu has a lot to offer- Tunku Abdul Rahman Park, Endemic wildlife, Food, Mt Kinabalu, Historical and Religious Landmarks and Culture. Never in my wildest dream that we will be back in Kota Kinabalu the next year courtesy of "Tara na Malaysia"! 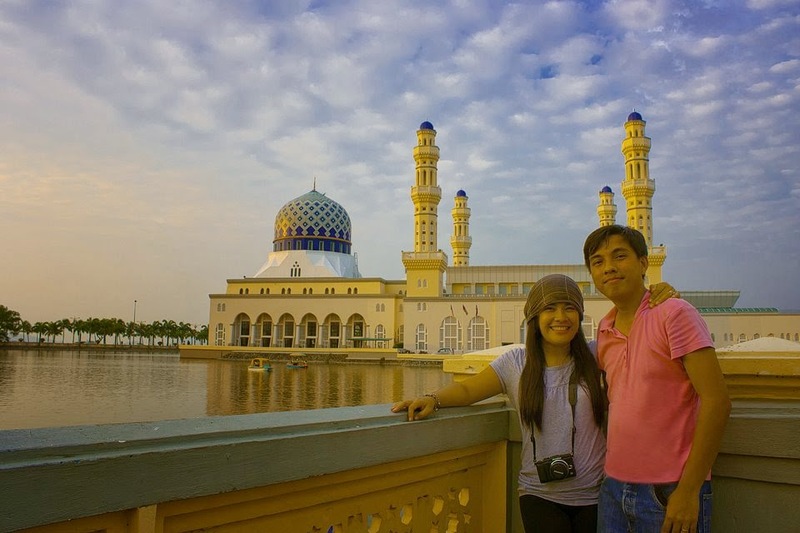 They paid for the whole trip (Hotel and Airfare) to promote Kota Kinabalu through our travel blog. We arrived in Kota Kinabalu around 5:00 PM. At the airport, I bought a prepaid simcard for MYR 7 about USD2.29 and called my friend Judith who will be later became our travel guide for the rest of the trip. Here in the Philippines, the sim card can easily be bought without registration but in Malaysia its the other way around. After a quick and spicy dinner at a nearby restaurant, we made our way to our hostel which is just few blocks away from where we had our dinner. 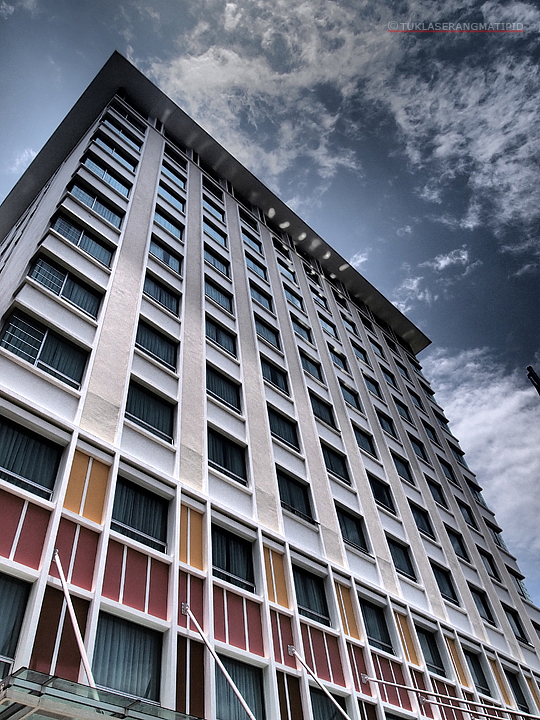 Aside from Affordability, Borneo Backpackers also offers Free WIFI and continental breakfast for their guest. We check out early and headed to our sponsored hotel Cititel Express which is 15 min away by walk from our hostel. Our first impression of the hotel was that the staff were friendly and rates are not high compared to other hotels in Kota Kinabalu. The rooms are superbly clean and spacious as well. Room amenities include free buffet breakfast, Wifi, Hair dryer and Plasma TV. Getting here by travel agency or tour packages is quite expensive.It cost around Rm 130 / person or Php 1,728. To save some cash, we took a mini bus from KK City bus terminal to Lok kawi drop off point. 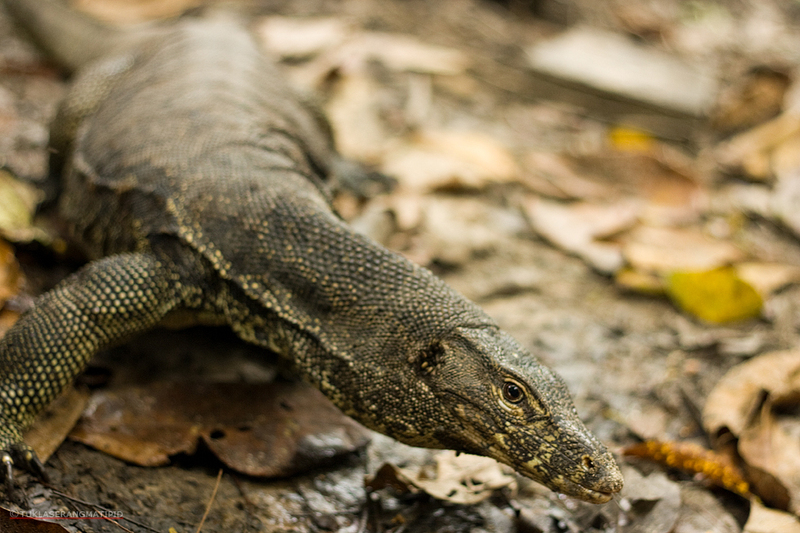 Just tell the mini bus driver that your heading to Lok kawi Wildlife Park. From the drop off point, we took a taxi to the park or RM20. Located at Penampang - Papar old road. 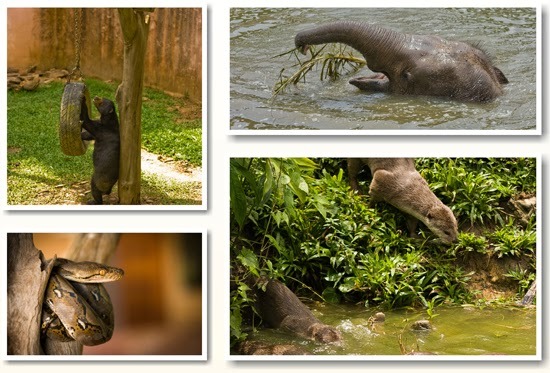 Among the inhabitants of the zoo (zoological component) are the Borneo Pygmy elephants, Proboscis monkey, Malayan tiger, as well as some different species of deer. But we are super excited to see the endemic Proboscis Monkey. • Ride a MINI BUS or BAS MINI at the KK City bus terminal. Take a 17B or 17C bus to Lok Kawi town at RM3 a head, alight from the Lok kawi drop off point then take a local taxi for around RM12-15 to the park. It is advisable to get the phone number of the taxi driver or arrange pickup from the park at a set time to go back to Lok Kawi as there are no taxis or buses at the park. Alternatively pay some RM80-100 to have a taxi take you there from Kota Kinabalu and back. 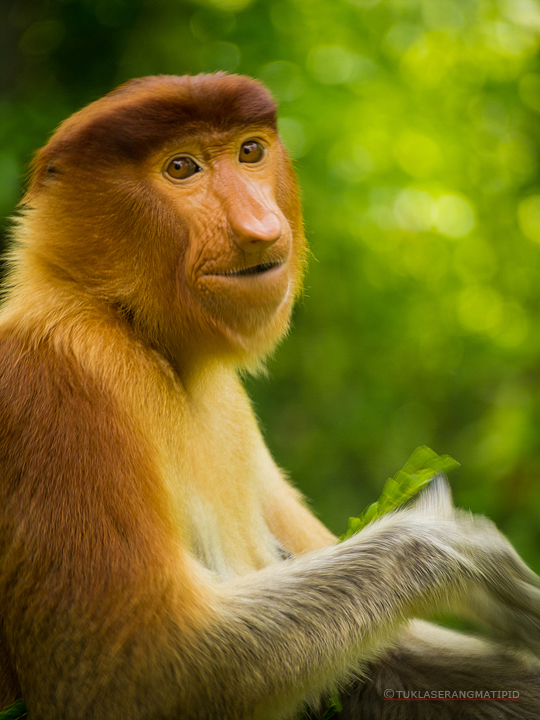 Sabah is home of many wildlife species but the superstar of them all is Sabah's Endemic Proboscis Monkey also called the Monyet Belanda Monkey, which means the long nosed Monkey. They are losing habitat at an alarming rate fewer like a thousands according to an article. 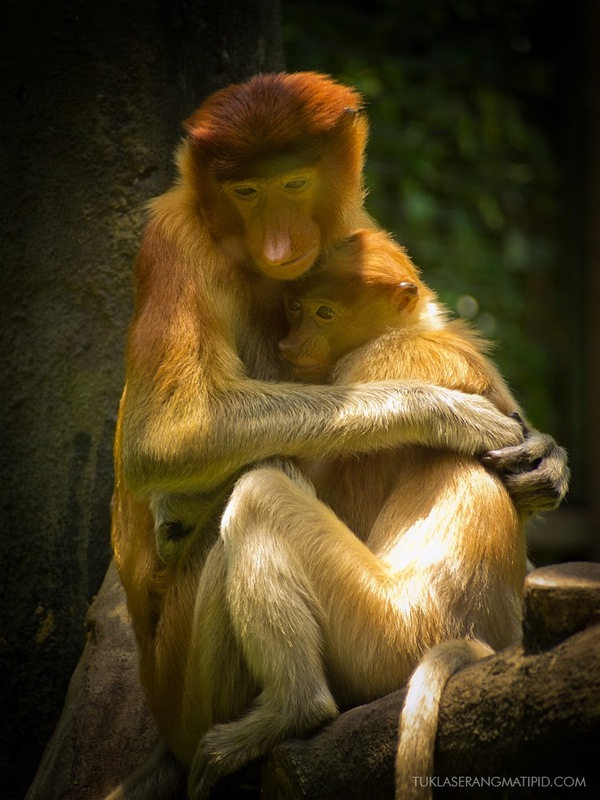 The Malaysian government is working double time to preserve them by building protective sanctuaries around Borneo. You can view them in the wild by joining tours but we find it quite expensive and useless 'especially if you don't have long tele lenses and binoculars because they are mostly found high above the ground especially in the wild. 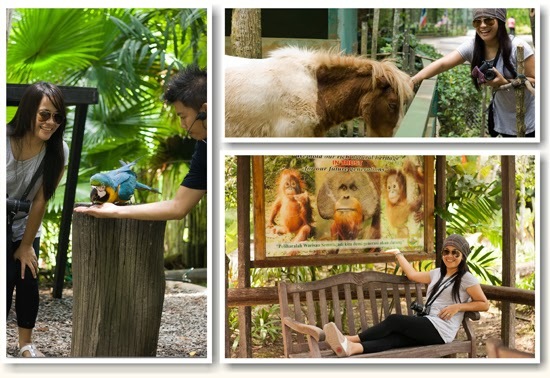 If you want to experience them up-close, you can visit Lok Kawi Wildlife Park. The monkeys are kept in enclosure glass cage and can easily be photograph using a DSLR. The park gives you an opportunity to touch the animals. 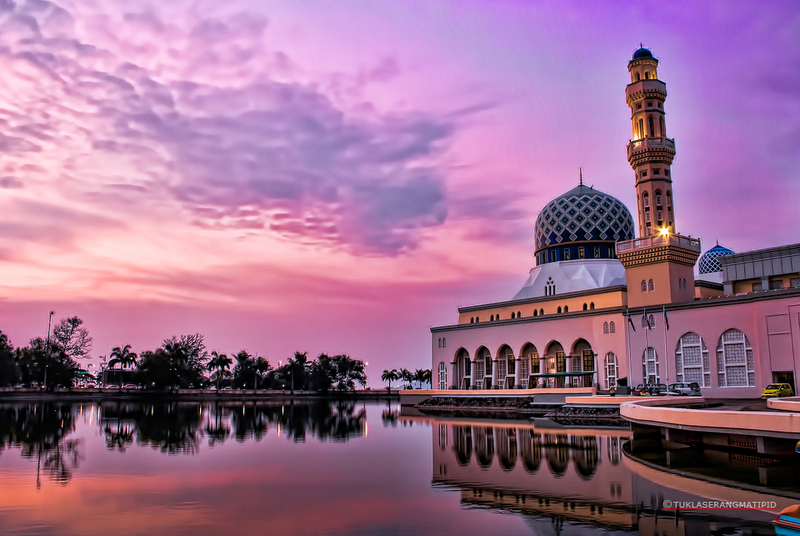 By far the largest mosque in Kota Kinabalu, the Kota Kinabalu City Mosque can possibly be the most beautiful one in Malaysia – the man-made lagoon that surrounds it gives a serenely gorgeous and dramatic look to the mosque on a full moon night. 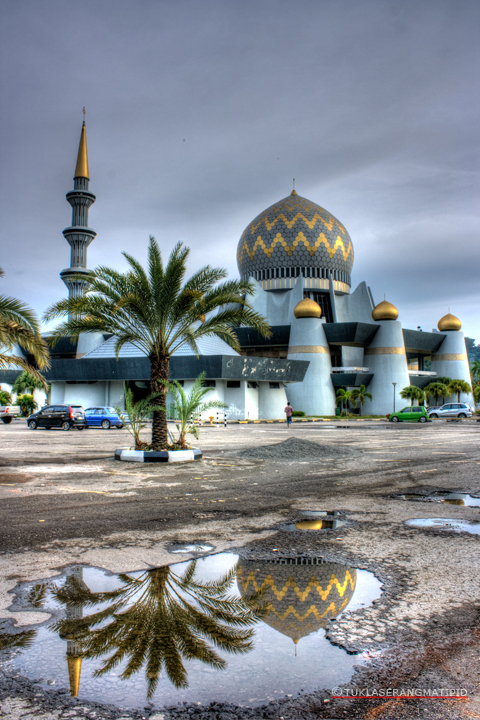 Built on a 2.47 acres site at the Likas bay, the Kota Kinabalu City Mosque is exemplary of the Islamic contemporary architecture. 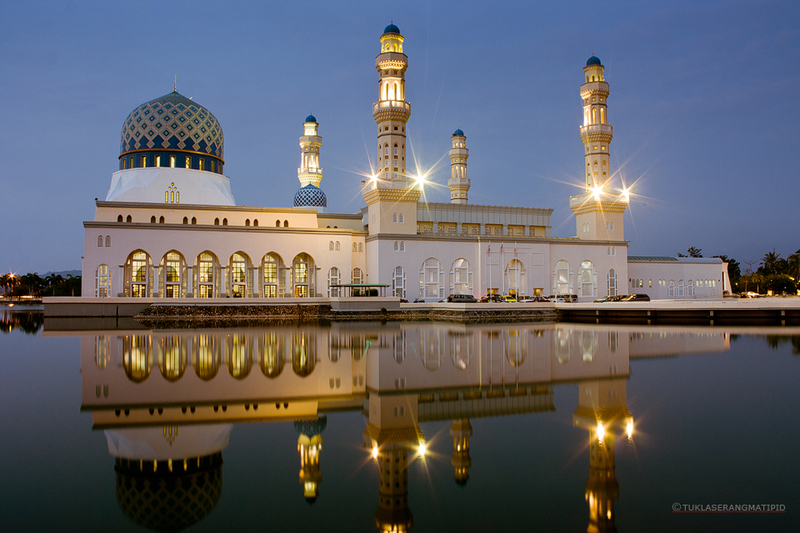 Situated near the sea, this majestic white mosque boasts similar features to the Nabawi Mosque in Medina. This floating mosque has a prayer hall which houses three madrasahs and accommodates from 9, 000 to 12, 000 people at a time. 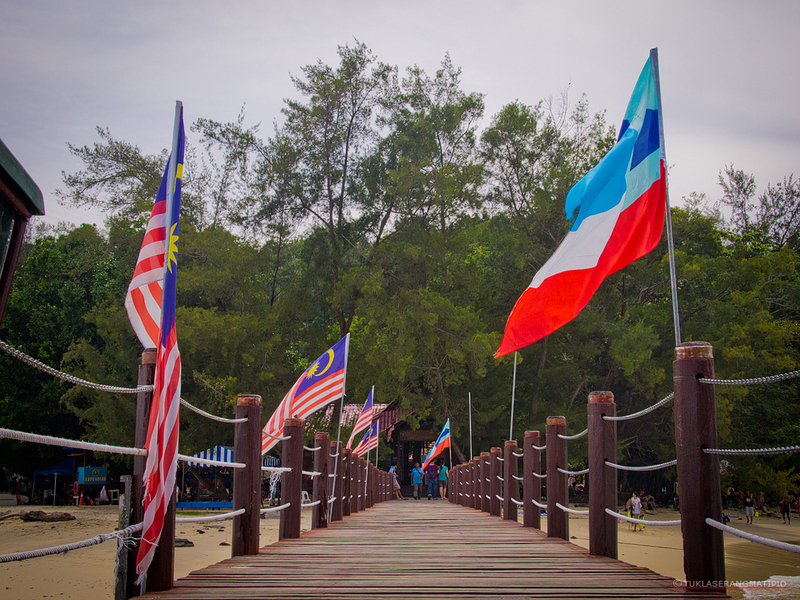 The following day we are scheduled to visit Tunku Abdul Rahman Park. 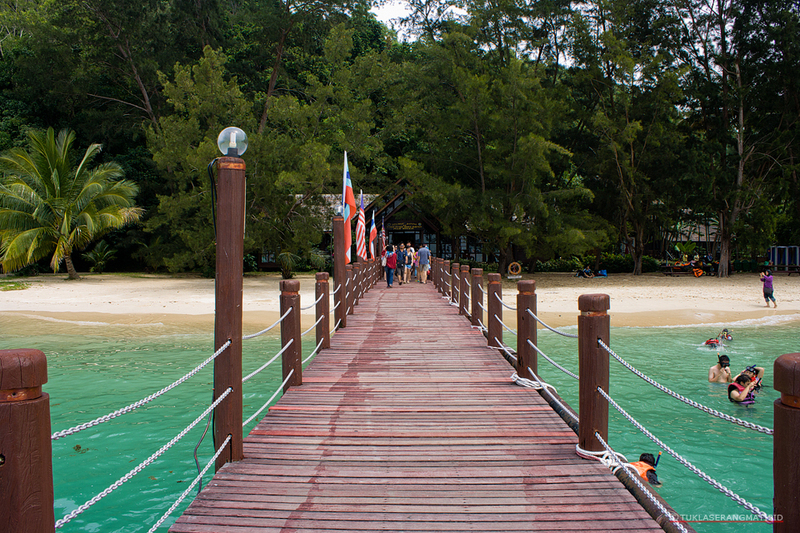 The marine park is a cluster of islands comprising Pulau Gaya, Pulau Sapi, Pulau Manukan, Pulau Mamutik and Pulau Sulug, all only 10 - 20 minute speedboat ride from the city. We paid MR120.00 for the Island hopping to Manukan and Sapi for the 3 of us, so that's about MR40.00 per person for the 2 islands. Manukan island is the second largest island in the park and the most developed. Hence, this island probably see the most visitors. The Sabah Parks headquarters is located here. The island itself is one and half kilometers long, crescent shaped. There are nature trails if you wish to explore the island. I don’t know if this is the place for bird-watching. The Atkinson’s Clock Tower is perhaps more impressive in legend than it is in stature. Originally an wood-only-no-nails structure, it was erected in honour of the popular 1st district officer of Jessleton, Francis George Atkinson. The Atkinson’s Clock Tower has kept watch over the city ever since, and likely before any of its current citizens were born. One of the most enduring landmarks of Kota Kinabalu, the Atkinson’s Clock Tower was originally built in 1905 and famously survived the retreat of the Allied Forces during WWII when almost every other structure in the city was razed to the ground, enabling it to lay claim to being the oldest standing structure in Sabah. 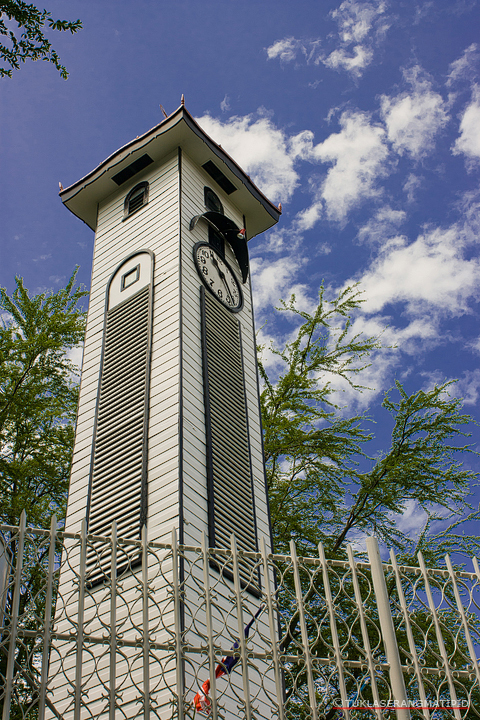 The Atkinson Clock Tower is managed by Sabah Museum under its Antiquity and History department, and is located next to the Traffic Police Station at the foot of Signal Hill within an easy stroll from almost anywhere in Kota Kinabalu city.Protected by a gated fence, the Atkinson Clock Tower can be visited for free any time of the day, and is brightly lit at night. This state mosque is a masterpiece of architecture with its dove-grey walls and glittering majestic domes with gold inlay. It is centrally located at Jalan Tunku Abdul Raman and it is a proof of unique combination of Islamic architecture and contemporary design. Up to 5000 worshipers can be inside at one time; the mosque has become a popular place for visitors from all over the world. During prayer time, even Muslim women can visit the mosque as a special balcony is built that can fit 500 persons. On our last day in Kota Kinabalu, we just bask in bed and do nothing. 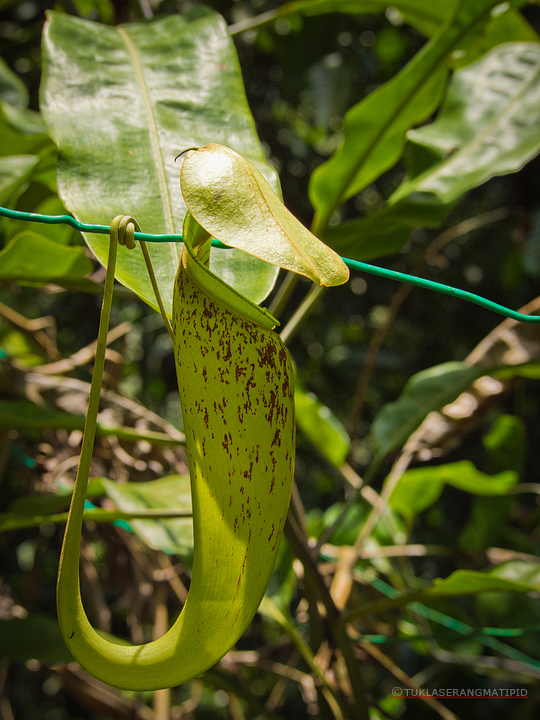 Overall, Sabah is a great place for eco-tourism, culture, food and amazing islands. We'll definitely be back next year and climb Mt. Kinabalu. I would like to thank to Ms. Katrina Bianca Tamayo of Tara Na sa Malaysia, Sabah Tourism Board for making this trip possible and Ms. Judith for keeping us company for the entire trip. Thanks for share beautiful images,continue..
Hi.. how did u get those tour? Specially the island hopping. Im planning to go there with my friends. Nope you don't need a tour or a guide to get those places. 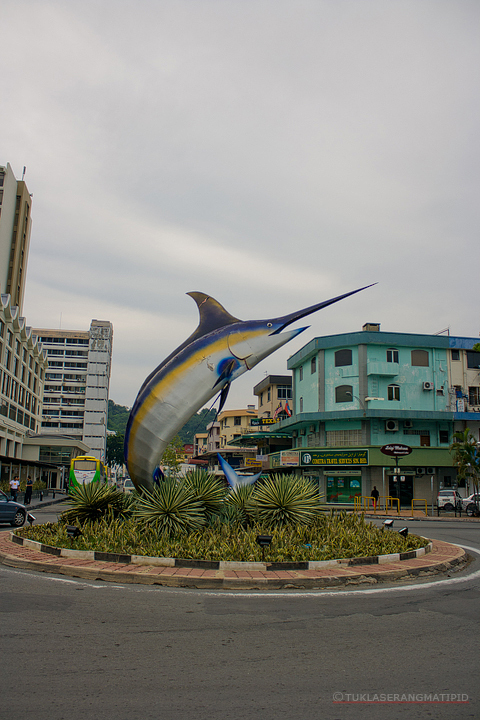 The Jesselton port for island hopping is located in the heart of the city. Hi. how much did you spend in your trip? excluding airfare? Hi Shaggie the airfare and accommodation was sponsored by Tara Na Sa Malaysia and Sabah Tourism Board. We spent around P25,000 including food for three days, the hefty travel tax, souvenirs, admission tickets, terminal fees and taxi. Thanks for sharing, amazing pictures!! Hi len yeah malayo kasi sa town yung Mt. Kinabalu. We have to allot 2 days to visit there and wala na rin kaming time : - (. Thanks. Yeah it's safe :-). 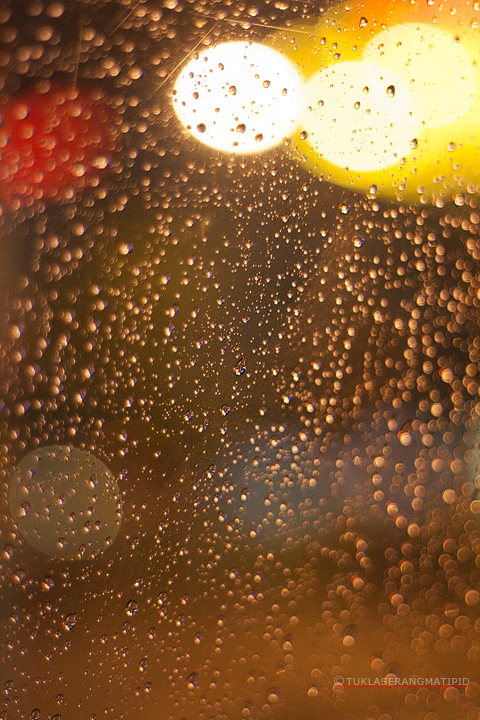 Less rain for the month of November and the best season to visit there. Hope that helps. thank you for sharing:) Looking forward to visit this December! Spot on! Informative! Helpful In my recent KK adventure. mabuhay ka! For sea related activities or simply sight seeing – Langkawi is better & safer than sabah / kota kinabalu. me & my family faced lifetime worst experience in kota kinabalu. 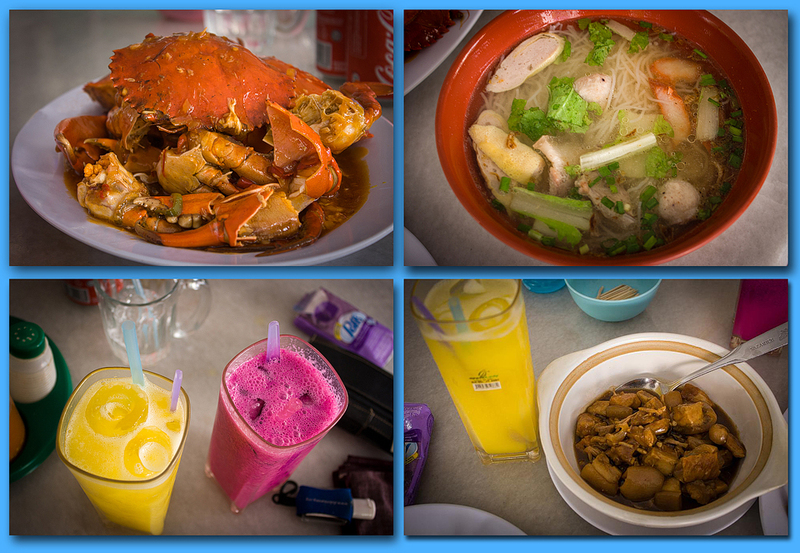 sabah is the very unhealthy /unfriendly state of Malaysia. Even better to go Bali if already seen Langkawi. 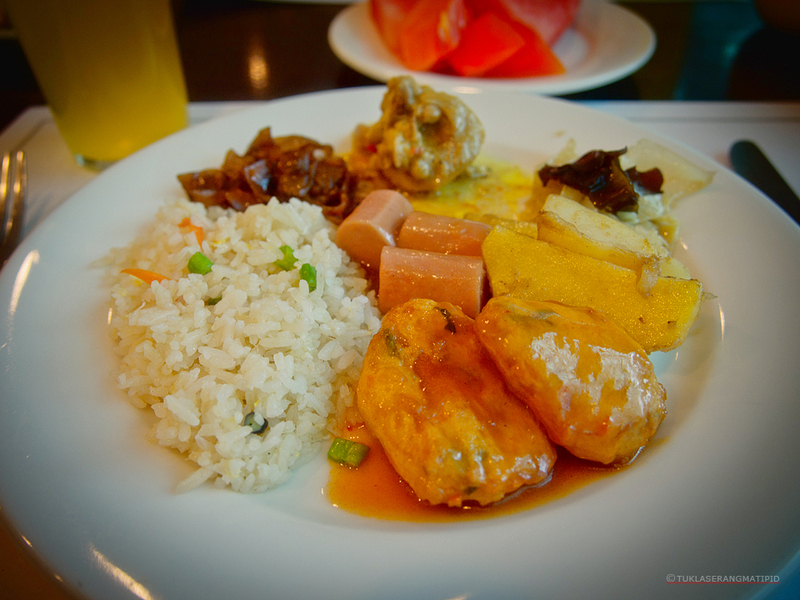 cheating, mis-behave or mis treats starts from kota kinabalu airport immigration !! Great pics! Hope to get to Borneo too and get the cheapest Malaysia accommodation.